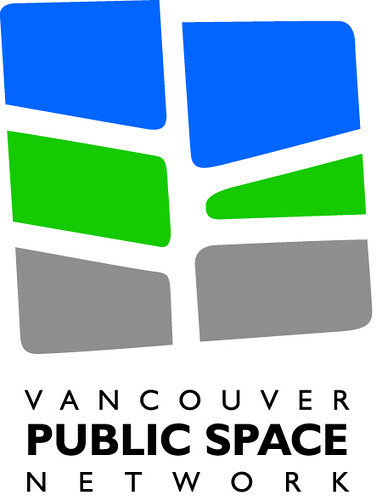 The VPSN Public Space Blog is produced by the Vancouver Public Space Network (VPSN), a grassroots, non-partisan organization that works on advocacy, education and outreach pertaining to Vancouver’s public realm. The VPSN was started as a grassroots collective in the spring of 2006. In 2008 it was registered as a non-profit under the BC Societies Act. The VPSN currently has approximately 2000 members and supporters – including planners, architects, designers, artists, activists, flaneurs, scholars, students, urban enthusiasts and a wide spectrum of people in between. As an advocacy organization, the VPSN works to champion the importance of public space to the overall liveability of the city. Our efforts are wide-reaching and our organization is structured around eight key portfolios and project areas. Our work attempts to provide a blend of focused research and design work, creative community engagement and, a celebratory, solutions-based approach.